The main takeaway you should get from this blog is that forex trading is very different from stock trading. The logic is fundamentally different, and the factors to consider are not of the same order. And some would argue that your chances of making a regular income from forex trading are much greater than if you put your money on the NYSE or Nasdaq. Yes, there are some similarities, but they are not of much relevance when you think about what matters in trading. Stock trading happens on ordered markets and well-regulated exchanges. Stocks are volatile enough to day trade. You can certainly apply the principles of technical analysis to the stock markets, and many traders do this with some success. And, the mechanics of trading in the forex market are mostly the same: Bid-and-ask prices move up and down throughout the trading day, and a trader can go either long or short in a given stock. Traders use all the same basic types of orders on stock exchanges as in forex trading. But these are broad and inessential similarities. The most fundamental difference between trading forex and stocks is that forex works in currency pairs while investing in a single stock means that you are only long in that single security. You are betting that one currency will go up, while the other goes down, and so your analysis of the trade is based on factors specific to both currencies. If you do the fundamental analysis for trading, you are looking for an economic event or change in conditions that either affects both, or that affects one very strongly. If you are making technical trades, you are looking for patterns in resistance and support with both currencies in action. Another fundamental point: Period is much more important in forex trading. Rarely does stock trading doesn’t look just at a 15-minute, or five-minute period in trading, and they don’t scalp. Forex traders can trade the 1-minute chart, although it’s a very tough bet. But the five-minute chart has clear and orderly patterns — some of the time. At least, enough of the time so that technical trading is worthwhile. Trading in currency pairs encourages specialization, and most traders decide on the few pairs that they best can understand and study. The pairs with the most interest have the components USD, EUR, GBP and JPY, the so-called ‘majors,’ and many traders never venture beyond those currencies. But you can trade Ghanian cedi if that is what you think is best, and you will find liquidity almost all the time for such trades. Then there is the forex market. There are no exchanges in forex: All the world trades on one huge multi-trillion dollar market. This means that there is almost always liquidity for your trades, while picking a stock and trading it may mean that no one wants to buy it when you’re ready to sell. This gives the trader a chance to earn much more, much faster, although, make no mistake, it’s a great challenge. Let’s also not forget that Forex trades night and day from Sunday to late Friday. Certainly, sometimes of the day are more active, with the most forex trading sessions are coming when London wakes up at about 7 a.m. GMT, while Asia is still active, and then about nine a.m US time when the traders go to work in New York. Even with these fluctuations, there is far more chance to trade than on a regulated stock exchange which is open 9 to 5. There is, of course, a gray market that trades stocks 24/7, but you have to be pro to access it. Because of the high level of liquidity on the forex market, brokers can work on low margin rates, and offer broad leverage. Most margin traders in the stock market need at least half of the value of their investment constantly available in their margin accounts, whereas forex traders need as little as 2 percent. And forex traders enjoy very high levels of leverage, where the stockbroker can only offer 2:1 at best. While commissions have gone down in stock trading, thanks to discount and online brokers, they are still significant, while forex traders usually pay no commission at all – the broker makes money on the bid-ask spread. This is a not something experts can prove, but I think anyone who, like myself, has tried his/her hand at both types of trading, finds that you make money faster with forex. 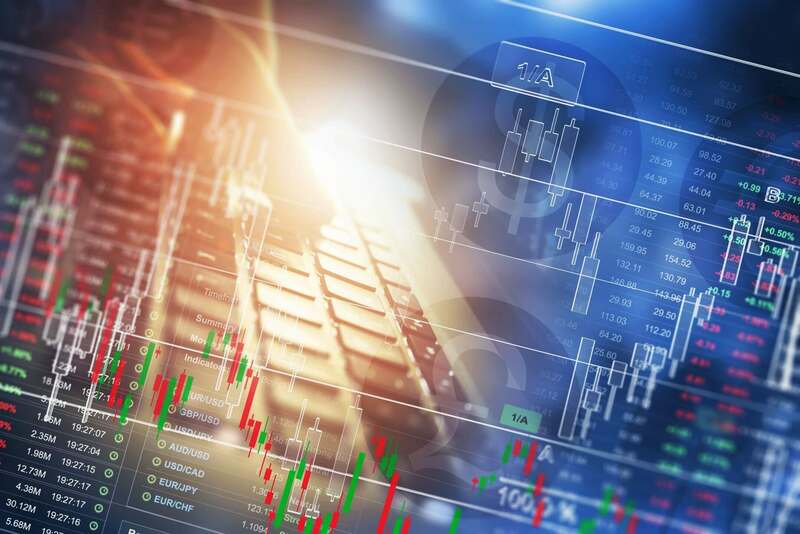 There is just a lot more rapid change on the forex market because currencies aren’t linked to specific companies – they are big pools of liquidity with hundreds of institutions, banks, and brokers busy night and day. This is what makes forex trading so exciting, while at the same time so challenging.